Whenever we install Docker on CentOS or RHEL Servers Docker public Registry is enabled so when we run ‘docker pull‘ or ‘docker search‘ command it will go to Docker public registry (Docker Hub) and will fetch the required container images. 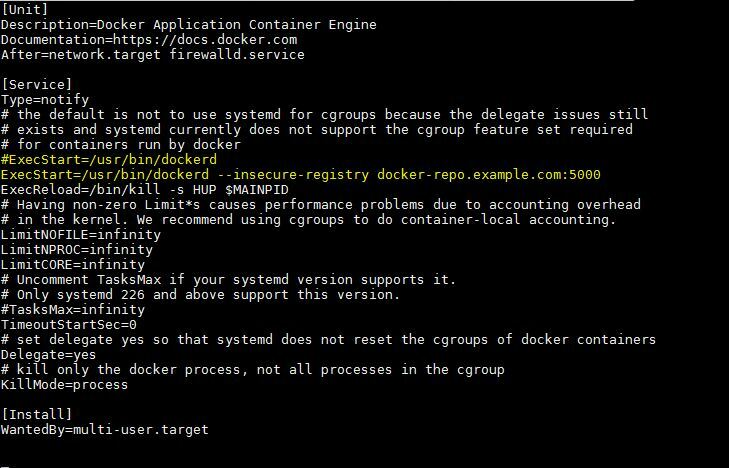 But it is not idea to fetch the Docker container images from public registry when you are using Docker in an organization, for the best practice we should have our own private Docker registry or repository. 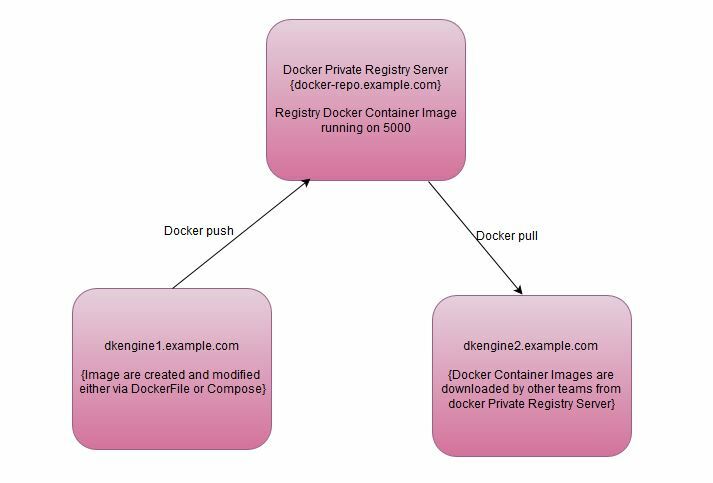 Docker Registry or repository is a place where Docker container images are stored. Note : Update the /etc/hosts file in case DNS server is not configured so that servers can be reachable with their respective hostname or dns name. Once the image is downloaded verify which commands will be executed when we start registry container image. Above Command will start the registry container with name registry and also we set the patting rule so that if any request comes to ‘docker-repo.example.com‘ on 5000 port then request will be redirected to registry container on 5000 port. Login to ‘dkengine2.example.com’ server and use ‘docker pull’ command to download container image from your private registry server. By default docker pull command also makes https connection with registry server but our private registry accepts only http connection. Good article, and it is posible to move this to Ubuntu, by using ufw(8) instead of firewall-cmd(8). But how do we secure the repository? Shouldn’t it be using https instead of http? Hi, I just followed through your post and found out the –insecure-registry setting does not work, maybe a hand? Did you update your system’s ‘/usr/lib/systemd/system/docker.service’ file and reload daemon service and restart Docker service ..? how can we get the list of all the images inside a registry? From any of the docker Engine node, run the “docker images” command to see the images inside your registry.